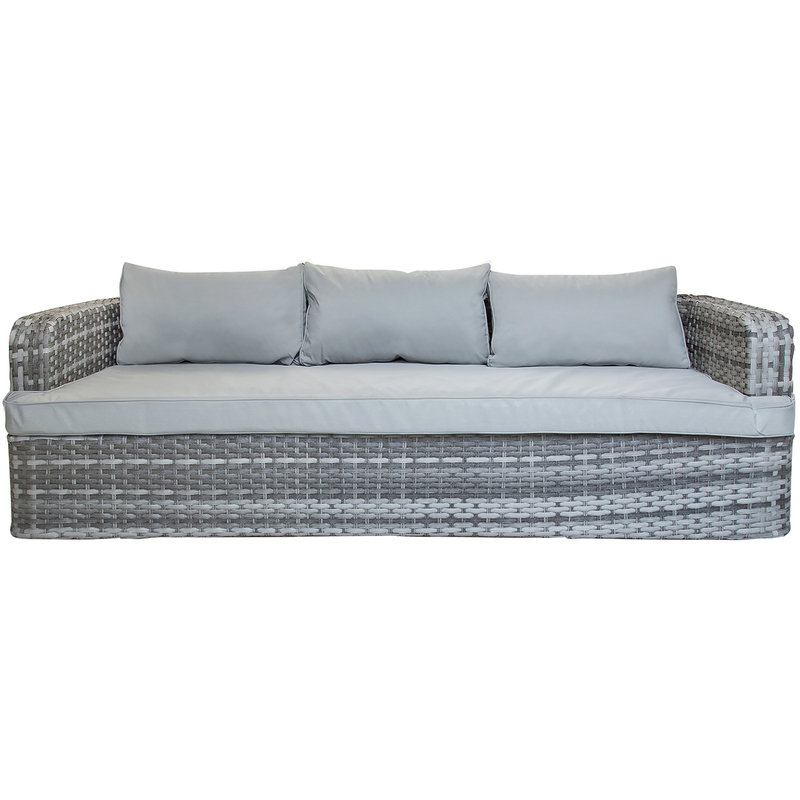 Make the most of the outdoors this season, with this luxurious rattan sofa set. Available in a choice of two colourways, this contemporary lounge set comprises of two large footstools, a table and seat and back cushions. 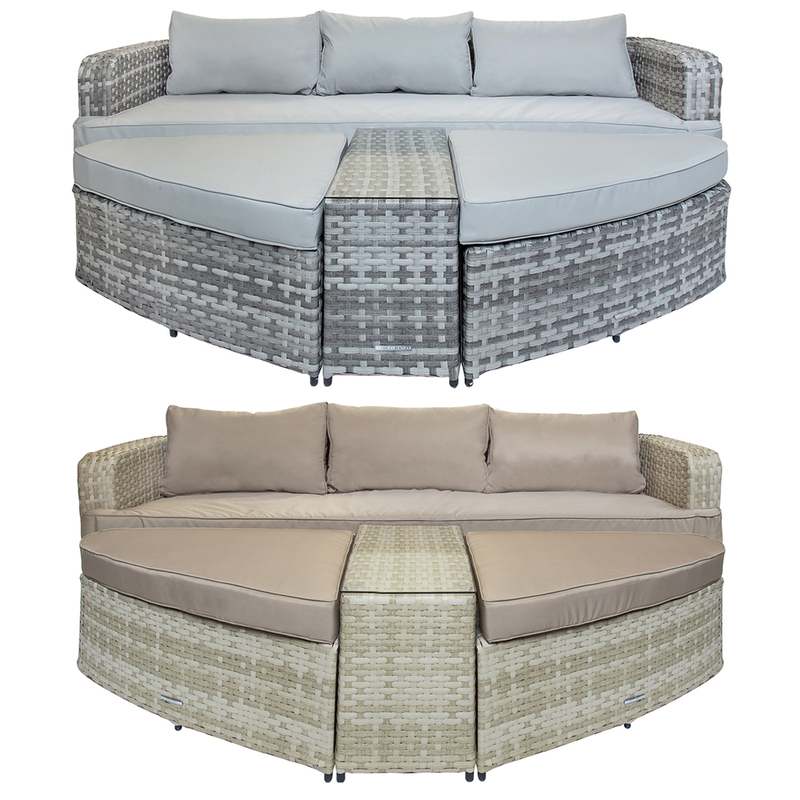 Enjoy relaxing outdoors with this multi-functional sofa set, which can be used either as as a day bed or a companion set. 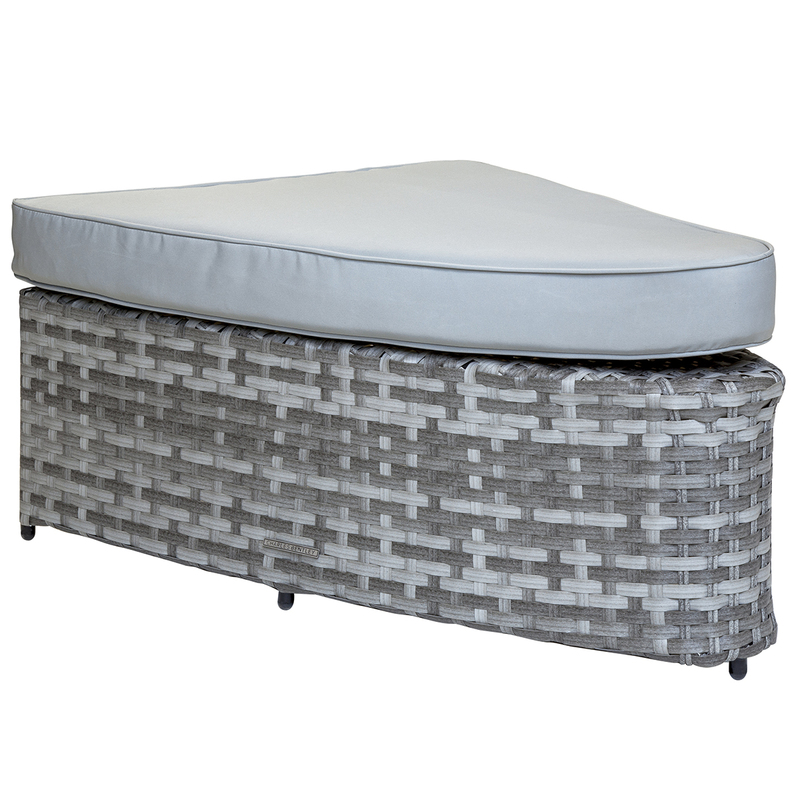 Made from a weatherproof, thick flat rattan with half round weave, this attractive lounge set can withstand the elements, for added durability. 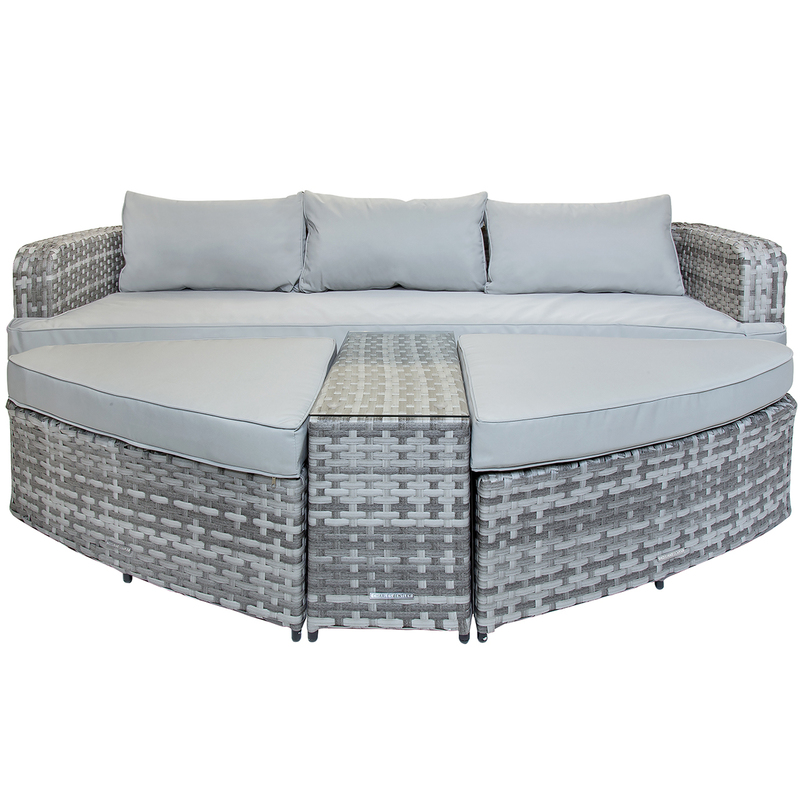 Easy to clean and assemble, this fashionable lounge set will add a stylish statement in any outdoor living space. 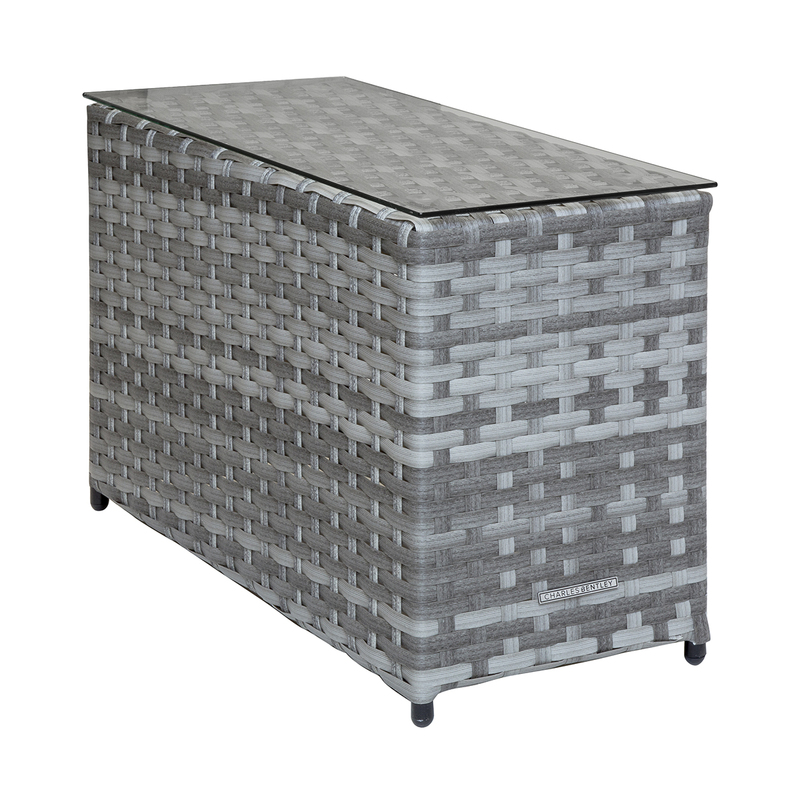 Please Note: Either of the colours can be teamed up perfectly with other furniture and accessories in our Roma and Milano rattan furniture ranges. Wipe with warm, soapy water and dry thoroughly. Bring cushions inside when not in use.